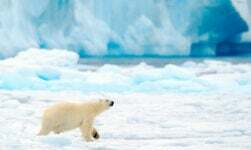 Norway's outdoor sports capital is the perfect destination for a walking holiday. 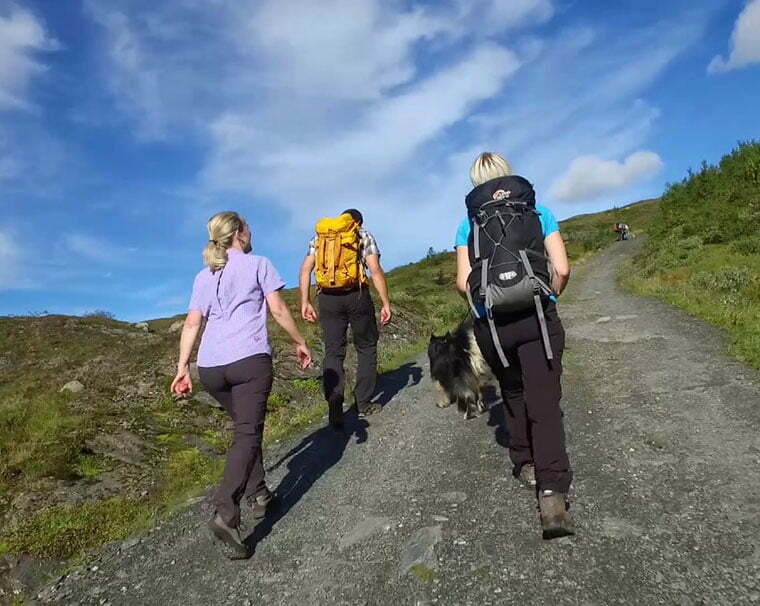 From experienced mountain climbers to amateur ramblers, there's a hike for everyone near Voss. While many people visiting Norway for a walking holiday head for one of the national parks, you don't have to join them to enjoy some terrific hikes. 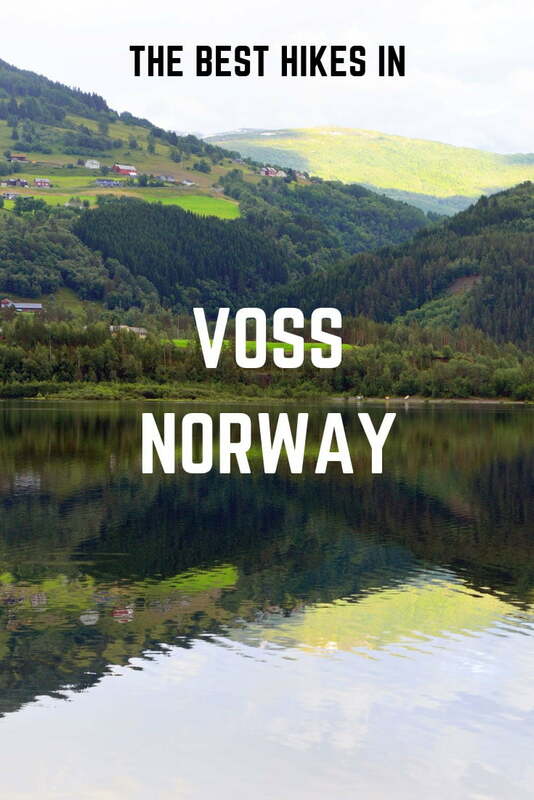 Voss is a super popular location for hiking in Norway thanks to its proximity to Bergen, its train station on the popular Oslo to Bergen railway, and the town's inclusion on the classic Norway in a Nutshell tour. 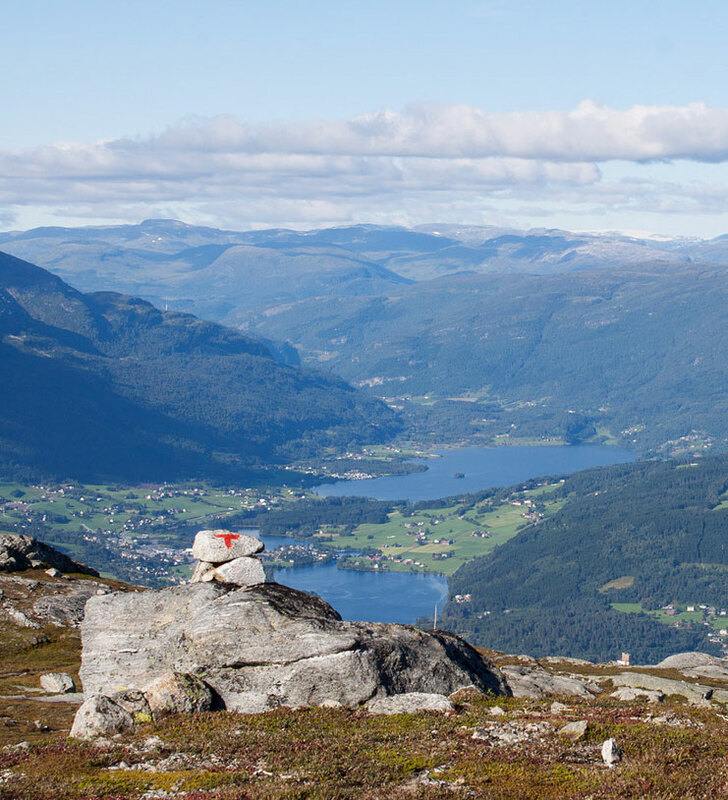 What are the best hikes near Voss? Some of these trails start from the centre of Voss town or within walking distance of it, but others are quite some distance away and will require a car. Are you ready? Right then, pull on your Marius sweater and let's get going! This all-day hike is one of Norway's absolute best that isn't world-famous! 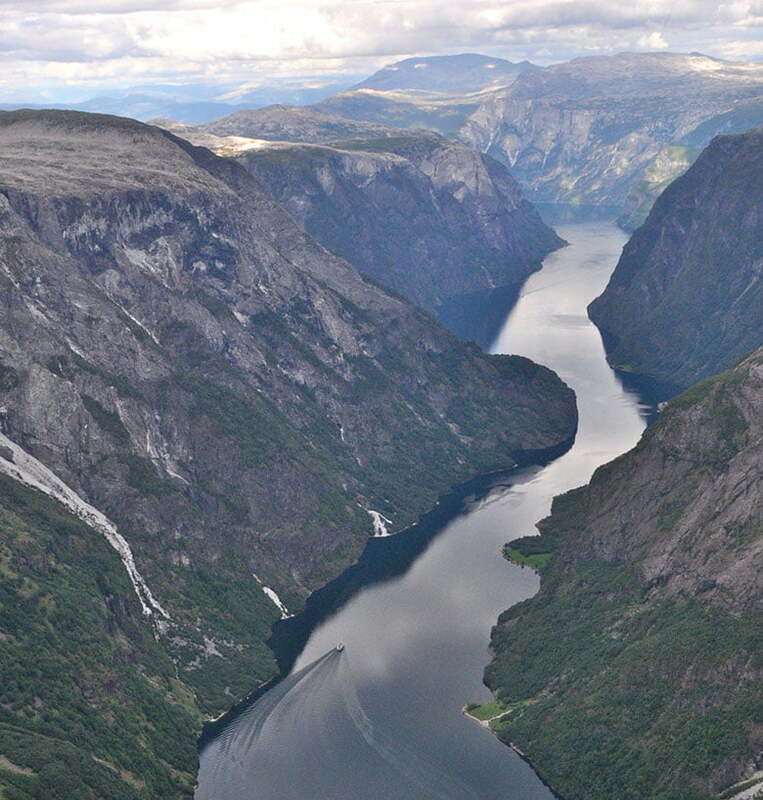 The view of the Nærøyfjord is nothing short of spectacular, but you have to work to get there. The terrain isn't the most challenging but there is an ascent of more than 800 metres required and the full 20km roundtrip takes around 8 hours. Plus the trail is not marked, making this hike much more of a challenge for newbies. 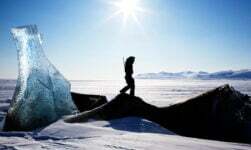 The trail is accessible from July to September but consider the weather first before setting off. Park your car in Jordalen and set off through Slettedalen towards Slettedalstjørni. From here, continue on to the summit at Bakkanosi – and enjoy! 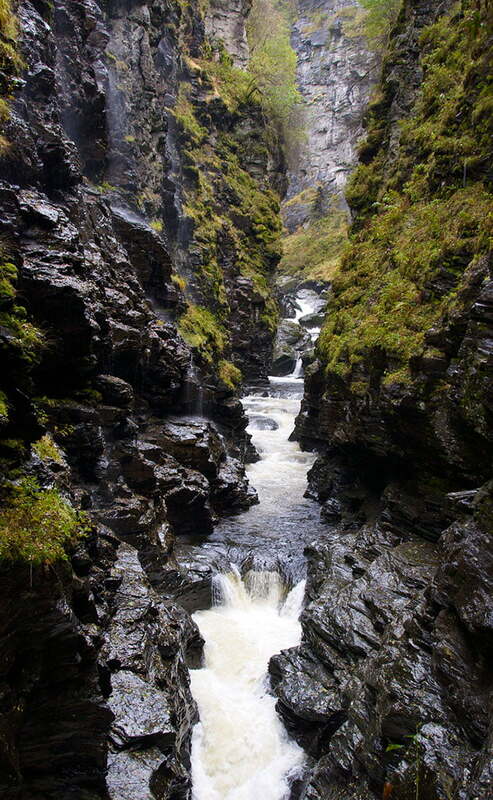 If that sounds too much like hard work for you, then how about this much easier walk to a beautiful natural gorge? Better still, the trail starts in the town itself, so you don't even need a car. The imposing natural gorge – formed over thousands of years by ice and the river – is accessible to visitors thanks to a purpose-built path, information boards, viewpoints and benches to rest. From the centre of Voss, take the gravel path that runs along the edge of the peaceful Vangsvatnet lake towards Prestegardsmoen. Cross the bridge over the river Vosso, turn right and follow the road along the river. From here, signs mark the way to Bordalsgjelet. The full return walk of around 5km should take around an hour an a half. There is a minor incline along the way, and the trail is open from May through to around November, or whenever the snow comes. 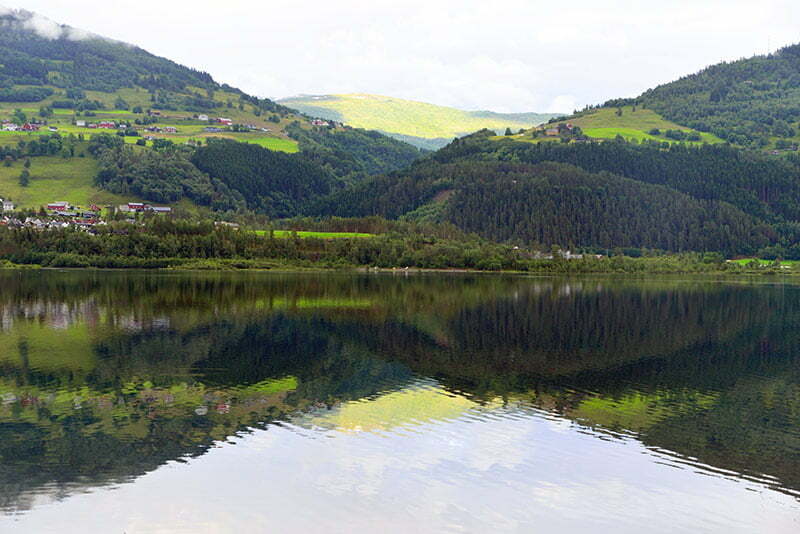 This hike to one of the mountains that towers over Voss is popular thanks to the view back across the lake to the town. The full hike is a 13.7km round-trip and is rated as ‘medium' difficulty due to the almost 1km gain in altitude. Most people should complete the route in six hours. The Gråsidetoppen trailhead is a few miles south of Voss so it helps to have a car – or the money for a cab – unless you want to extend the walk. There is an unstaffed DNT cabin, Rosethytta, located a short walk south of the trailhead, which is a good option if you want to start the hike early or finish late. Another mountain hike similar to Gråsidetoppen but this time the mountain and trailhead are on the town side of the lake. Lønahorgi dominates this range and is the second highest mountain in this part of western Norway, so the views – if the weather is clear – are fabulous. There are several approaches to this mammoth mountain. You can start the hike from the Voss Folk Museum, or drive a little farther to Bavallen at the Voss Resort for a slightly shorter route. 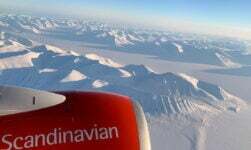 This is another challenging hike, but the rewards include a view of some of Norway's central glaciers from the summit. Allow 6.5 to 8 hours for the full 20 km return walk. The trail is marked and in good condition from late June to early October. Outside these times, those without local knowledge will need a map and a compass, and preferably be travelling with someone who knows the mountains as the weather on this hike can change quickly. 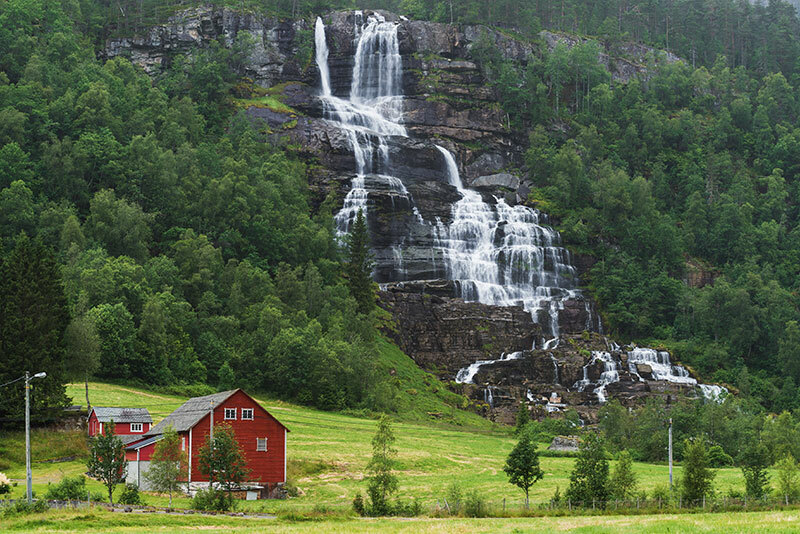 12km away from Voss on the E16 road to Flåm you'll find one of the country's most famous waterfalls. The graceful rather than powerful streams of water make for fantastic photo opportunities and a popular stop for tourists and tour buses. So why is Tvindefossen (also known as Tvinnefossen) included in a page about walking? Well, although the waterfall is just steps from the E16, a tiny percentage of those that do stop even know that you can hike up to the top! From the campsite (which is the perfect place to stay if you want to spend more time here! ), simply walk along the road to the north on the small road parallel to the E16. After a few hundred metres there is a small road that leads you up to the top of the waterfall for the views of the valley. 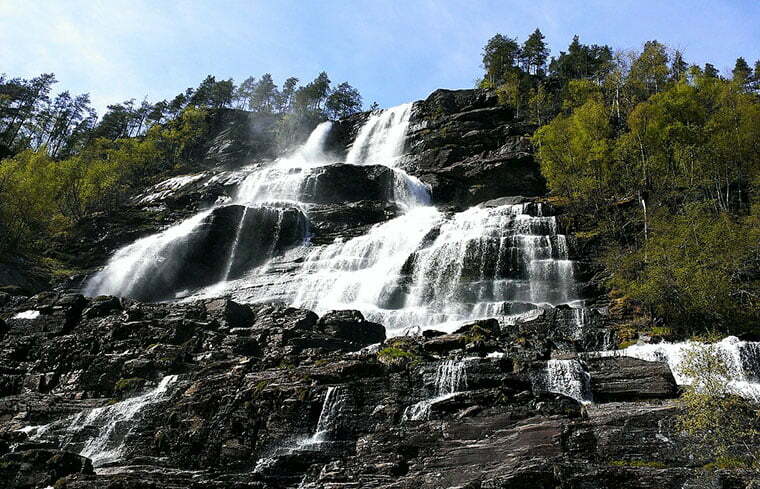 Alternatively, continue on along the river to reach another waterfall, Trollfossen. Two for the price of one! Last but not least, Hanguren is the ideal combination of short time (1.5-2.5hrs), short distance (1.8km), great workout (ascent of 500 metres), and great views across Voss and Vangsvatnet lake. There are several places on the mountain from which paraglider launch themselves into the skies, so keep an eye out and it's quite a sight to see up close. The short, steep hike does require a good level of physical fitness, but it's a terrific option for those short on time. 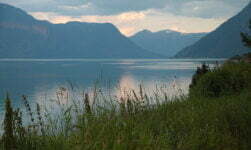 You can start the trip from the centre of Voss, or drive to the Folk Museum and start from there. Unlike most hikes on this page, the trail is walkable year-round although care should be taken whenever snow is present on the mountain. Of course, it's a much easier hike in the summer and early autumn. Have you made any of these hikes? Which one is your favourite, and why? oh my gosh, so BEAUTIFUL…. 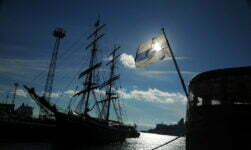 Norway is my soul’s home, no doubt. L.A. now, but my heart’s home is there…..
On a visit from the States, two of my grown children and I started up Gråsidetoppen in June 2016, but we only had time for a short hike so we went as far as Rosethytta. We brought our lunches and enjoyed the terrific view from the picnic table outside the hytte. A DNT volunteer was making repairs to the building, and he graciously took our photograph and allowed us to take a peek inside. There is also a geocache nearby!